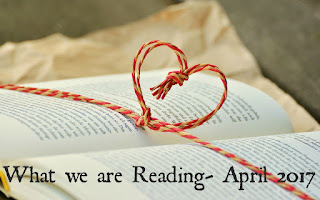 Another Month has gone by and I am ready to move on to the next book of choice. Hubby and I are getting prepared for children. We want to be the best parents that we can. Lately, I've been bombarded with suggestions on what to buy for this child. Their opinions are often followed with "its best..." or "its a better idea to...". To be the best Parent and a better Parent, one must be the best adult. So many parents regret certain aspects of their actions because they aren't the best person they can be. I want to be the best wife, best mother and the best daughter that I can be. I hope to gain some insight through this book. Hubby has been contemplating on what to read next. He has been talking about re-reading Good to Great, In God's Eyes. He read this book about 3 years ago with a small group of men, however they didn't finish the book. With some relaxing time coming up, I believe that he will give it another go during April.